Milk testing and quality control is an essential component of any milk processing industry. Which is why, quality control and assurance are extremely important to us. 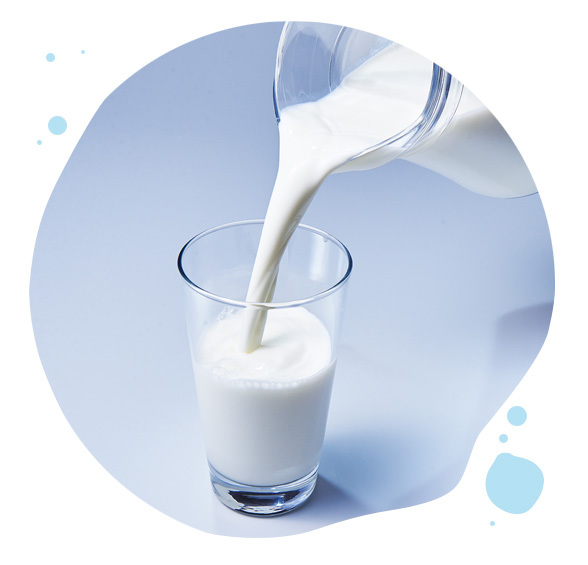 We carry out various tests on water, feed, and medicines to ensure that everything meets the international standards so that you get the best milk. We go the extra mile to carry out tests that are not even prescribed because we are setting new standards for health and goodness of the pure milk. Water: We periodically test the water for Heavy Metals such as Lead, Mercury, Cadmium, Chromium, Arsenic, Copper, Tin and Zinc. We also test water for Pesticides and PCB. We have also conducted Dioxin tests at a Lab in USA. Organic Feed: The Grass and organic fodder the cows eat are tested for Pesticides, Urea, Nitrate .The feed is also tested Mycotoxin-Fungus of variety B1, B2, G1 and G2. Farm Bacteria: Quality control and assurance begin on the farm. We regularly test for farm bacteria, namely Coliform, Mastitis, Somatic cell count, Listeria Monocyte-gene, Enterococci and E- Coli etc. Milk Residue: Regular tests are done to ensure that milk products are free from Heavy metal, PCB, Pesticides, Urea, Nitrate, Aflatoxin M-1 etc. We are extra cautious when it comes to your health. We carry out periodic testing for Dioxins (In USA Lab) and Polychlorinated Biphenyls (PCBs). These toxic chemicals can incite serious health hazards on exposure.